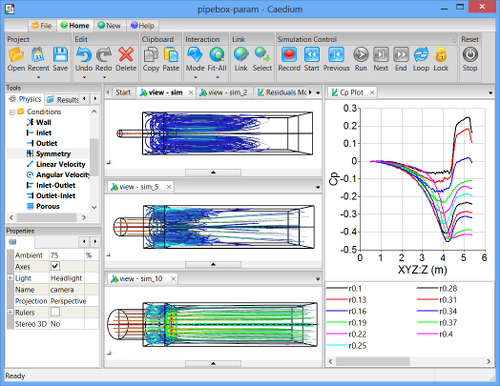 Let's draw a line under 2014 with a couple of review articles, so we can clear the decks - refreshed and firing on all cylinders for Computational Fluid Dynamics (CFD) in 2015. The festive holiday season is once again upon us. What better way to mark the occasion than with a Computational Fluid Dynamics (CFD) doodle. No ordinary doodle though, a mega snow globe CFD doodle. Many a doodle has preceded a great innovation, so get your CFD doodle on and share your Caedium CFD doodles with us. Not sure if CFD doodling is for you? Then check out my latest blog posts that include the top 5 reasons to try CFD and why not all CFD GUIs are equivalent. Finally, I'd like to wish you a Merry Holiday and a prosperous New Year. 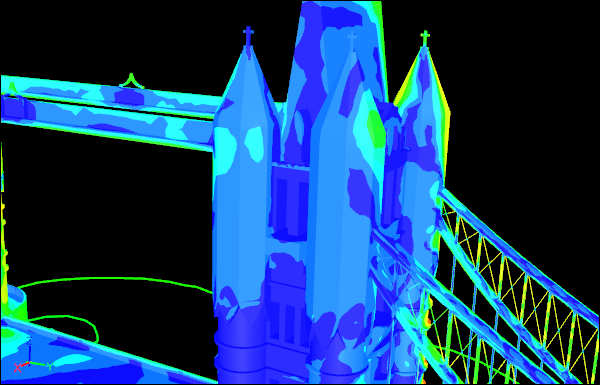 November 2014: What can CFD do for you? What has Computational Fluid Dynamics (CFD) done for you lately? Or more to the point - what can CFD do for you? 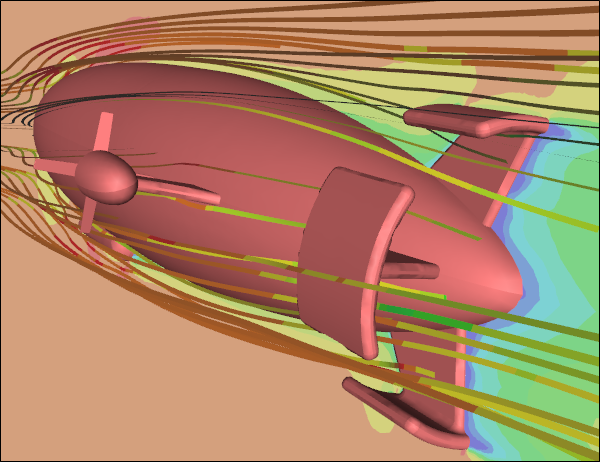 For a brief reminder of the broad range of internal and external CFD flow applications, and for a specific external aerodynamics case study, read on. 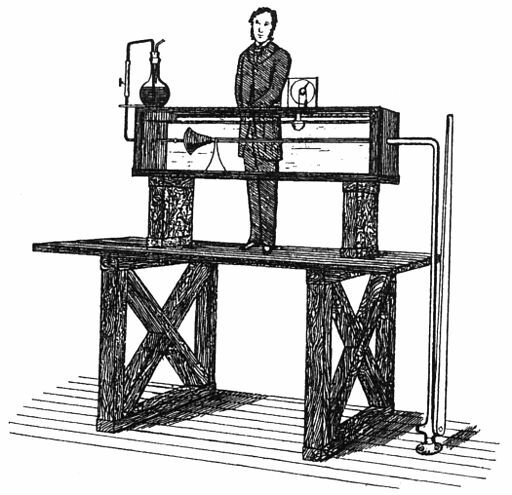 The theory on which Computational Fluid Dynamics (CFD) depends was laid way back in the 19th Century, before the dawn of practical computers. Take a moment to marvel at some of the science pioneers armed only with pens and paper who enabled CFD to become an essential engineering tool used today by a wide swath of industries. 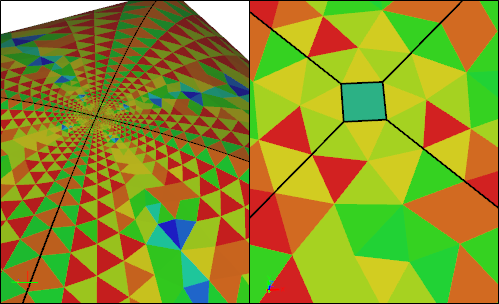 The overwhelming majority of issues that prevent a smooth Computational Fluid Dynamics (CFD) process are related to geometry. If geometry issues cause you headaches, then read on for a series of articles that describe techniques to help you navigate around common problems. 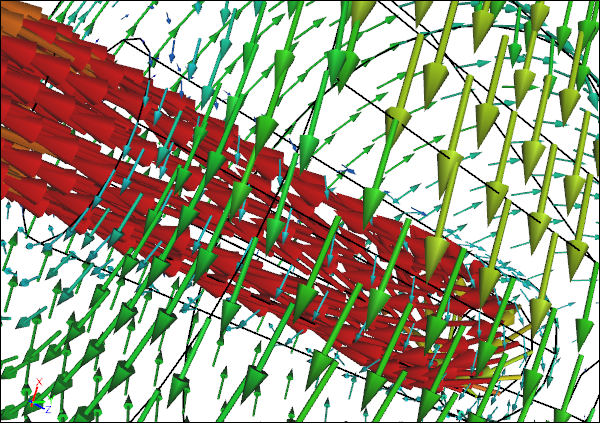 Once you are done, unwind with a look at how nature uses similar visualizations to those found in CFD. 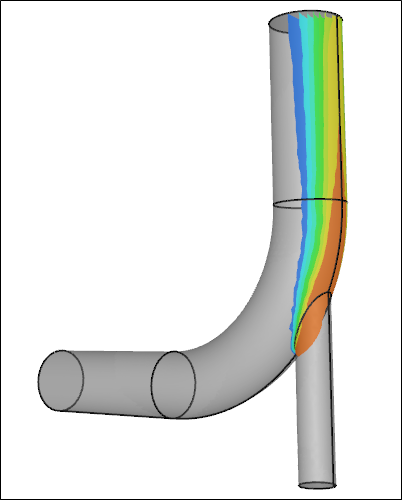 Where does Computational Fluid Dynamics (CFD) figure in the design process? Why should you use CFD? How could you use CFD? If you are looking for answers to any of these questions, then this month's articles are a must read for you. 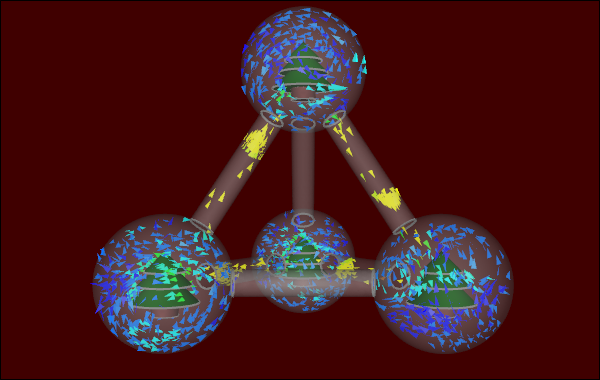 In this summer vacation edition newsletter read how you can slice and dice your Computational Fluid Dynamics (CFD) models to exploit symmetry and thereby reduce your simulation sizes by 50% or more. Do you need inspiration for what to do with your new found CFD smarts over the summer? Then take a look at the articles below on the air flow around airships and through World Cup stadiums. It's all here. This month's articles take you from the meshing world cup to the actual World Cup. 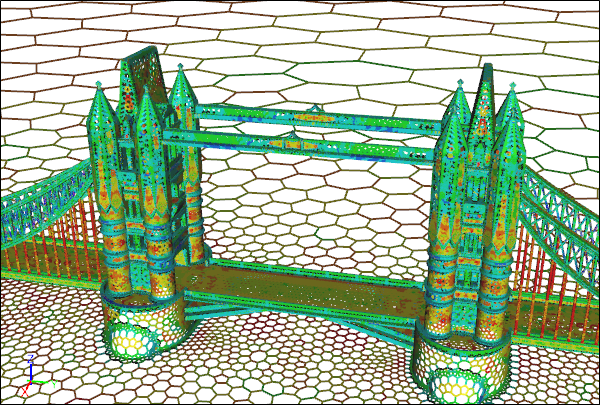 The 23rd International Meshing Roundtable is running a mesh competition (the nearest thing the mesh world has to a world cup) based on London's Tower bridge, so see if you think Caedium Professional has what it takes to be a contender. Then there's the actual World Cup and, if aerodynamics is your thing, all that matters is the ball. It's time you heard about progress on the next Caedium release, right? This can only mean one thing - sneak peek season is upon us with a preview of the new passive species transport capability coming to a Caedium near you soon. 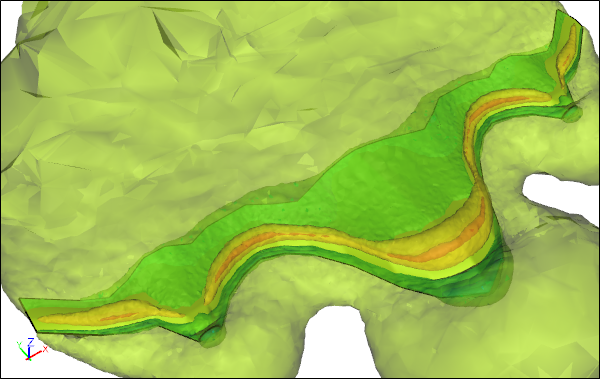 Let's not forget that Caedium also has a wide range of existing capabilities, so why not take a moment to see how to make a splash using Computational Fluid Dynamics (CFD)? 3D visualization explained, diagnosing turbulence model issues, and Computational Fluid Dynamics (CFD) task automation using Caedium's Python scripting - a technical reading list for you this month. Too much? Then lighten the load with some April Fools' Day posts on the aerodynamics of stationary bicycles.